1. It is perfect set for wedding or party favors! 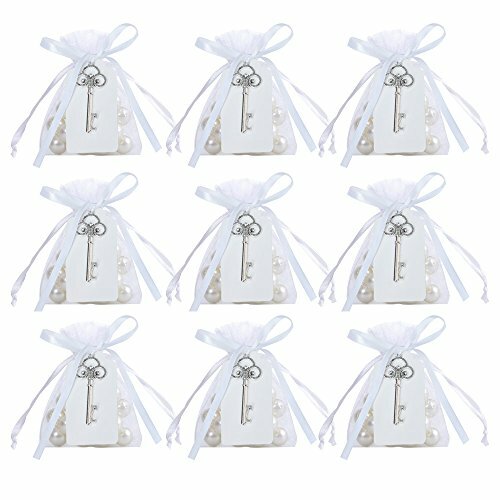 Sheer bag Drawstring Bag and beautiful vintage style skeleton key shape bottle opener makes the unique wedding and party favor. The White on the key, the pastel white card and ribbon accentuate your wedding décor with a Shiny or rustic touch.